Microsoft Store is now offering Surface Pro 4 for just $799. 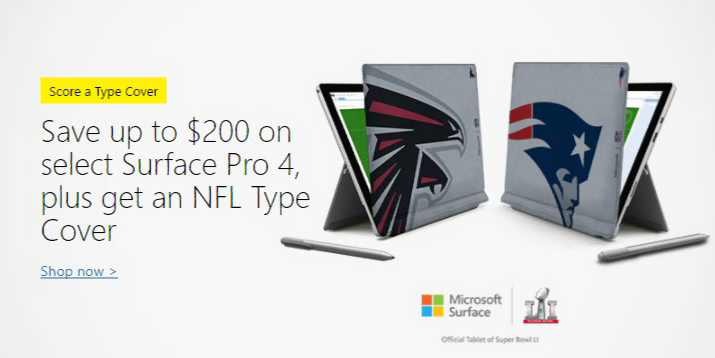 You will get the discount of $200 on select Surface Pro 4 as well as free NFL Type cover worth $159. The NFL Type Cover provides optimal key spacing for fast and fluid typing, plus an enlarged trackpad for precision control and navigation. The team graphics leap off the fabric with vibrant, bright colors. Constructed of premium materials, the Microsoft Surface NFL Type Cover gets better over time.